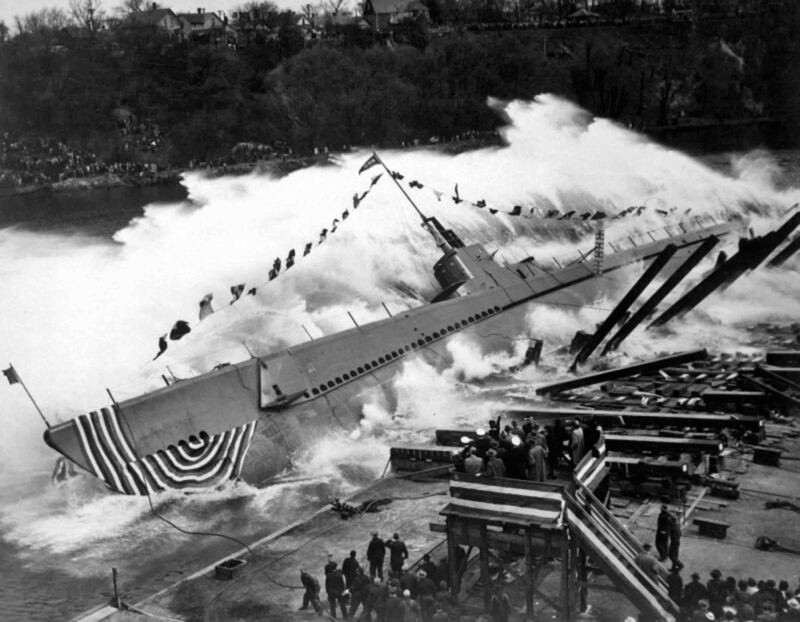 The launch of the US submarine SS 273 “Robalo” type “Gato” on May 9, 1943 at the shipyard Manitowoc Shipbuilding Co.
September 28, 1943, the submarine “Robalo” entered service and was included in the US Pacific Fleet. July 26, 1944, sunk as a result of an explosion of batteries west of the island of Palawan (Philippine Islands). According to another version – there, too, was killed in a minefield.